According to wedding publications the average wedding party on the Grooms side is 6. That means 6 Groomsmen, all whom should have an important reminder of this special day. 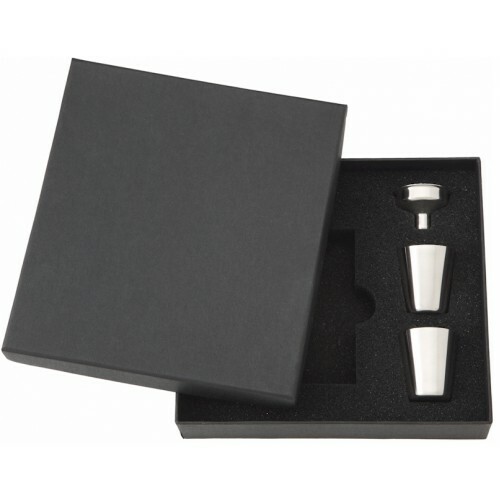 We have put together this fully customizable hip flask gift set to make things a little easier. 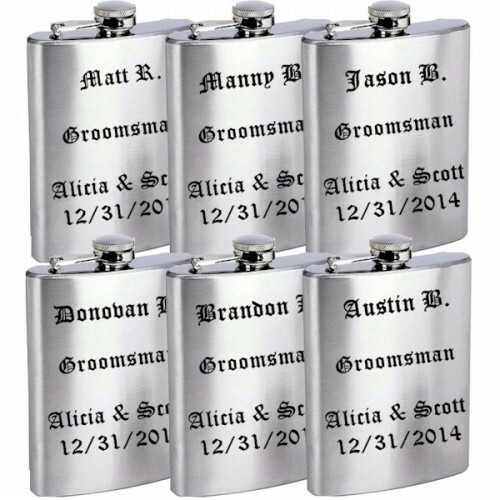 A traditional gift to present to a groomsman is a custom engraved stainless steel hip flask. We use high quality laser engraving that really stands out due to the contrast against the high grade stainless steel metal. The 8oz capacity is the perfect size for a gentleman, just enough (without over doing it)! 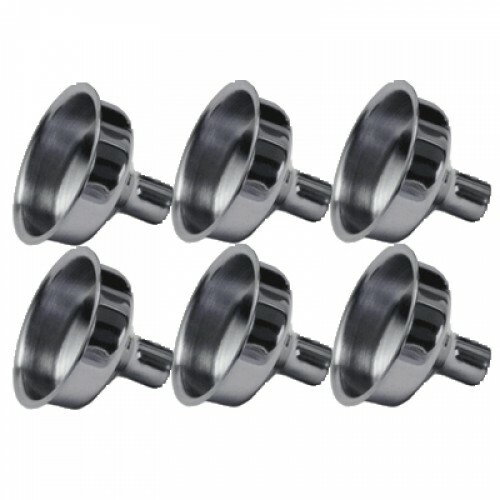 This set also comes with 6 FREE filing funnels to help easily fill the flasks with your favorite alcohol. 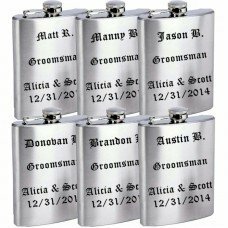 Flasks.com is one of the few places you can purchase a high quality product for 6 groomsmen for under $100.00; you can buy on a budget without giving cheap gifts! Our attention to detail and speedy shipping make this a purchase worth making. Each flask in this set can have completely different personalized messages without any extra or hidden charges! We can create most any font in the world; we have tens of thousands of fonts in our database so if you see something anywhere on the Internet that you like chances are we can do it! 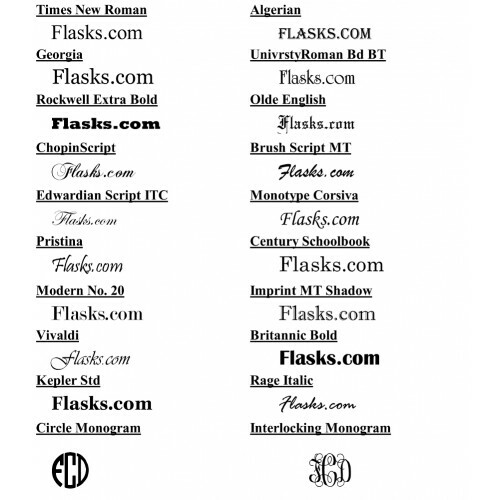 We have provided a list of the most common fonts. Remember, we offer free laser engraving and personalization, free shipping and free next day processing. Place your order today and we will engrave it free and ship it for you on the very next business day at no charge to you!